If the tides change constantly, fashions nearly as much, and political-historical events ebb and flow continually, there are some things with which we perforce ground our lives within us. One of those for many is music and the happy fact is that there is no shortage of it. New music and old music revisited abound, in a continual flow. It keeps me going through all seasons, a bitter cold dawn and its wonderfully colorful sunrise this morning being no exception. A superior instrumentalist greets the sunrise for me, one Catherine Lee, an oboist of stature in an evocative program of new music for oboe solo, Social Sounds (Teal Creek Music 2035). There are five works by contemporary modern composers, one for oboe d’amore and tape, one for English horn, the rest for oboe proper. Dr. Lee has a ravishing, declamatory tone and absolute control over her instrument, whether the work calls for extended techniques or less so. The modern extensions of tone production integrate themselves into conventional soundings on these works and Catherine negotiates them with ease, incorporating them into the fanfare-like extroversions and the more introspective passages with absolute musicality. Harmonics, alternate fingerings that lead to subtle shifts in timbre and microtonal differences, pitch bends, all are made an integral part of each compositional whole. The works are given dramatic, rhapsodically lyrical realizations without fail. We are treated to “Still” (2006) by Dorothy Chang, “Rafales” (2007) by Jerome Blais, “Plainsong” (2004) for English Horn by Tawnie Olson, “Social sounds from whales at night” (2007) by Emily Doolittle (whose music we have encountered here before–type her name in the search box above) for oboe d’amore and tape (providing us with some extraordinary whale soundings–sequenced and somewhat transformed if I am not mistaken–to accompany fittingly the instrumental part), and “A Tiny Dance” (2008) by Catherine Lee. The scores allow varying degrees of improvisation on the part of the performer. Catherine’s experience in classical-modern and free-improvisatory settings serves her well. She is a founding member of the Blue Box Ensemble and forms half of the Catherine Lee + Matt Hannafin Duo. Her doctoral dissertation centered around 18th century virtuoso performers and their interactions with audiences and heightened her interest in the role of improvisation. McGill University (Montreal) awarded her a Doctorate for her work there. The compositions have thematic underpinnings. Dorothy Chang’s work was inspired by “Red-Black,” a painting by Lawrence Calcagno that hangs in the Empire State Plaza, Albany. Jerome Blais was inspired by the many variations of wind he experienced when he moved to Halifax, Nova Scotia. Tawnie Olson’s piece treats structural aspects of plainchant types performed in the Night Office. Emily Doolittle crafts an evocative soundscape around night sounds whales communicate with. It was originally for soprano and tape but Ms. Doolittle adapted the vocal part for oboe d’amore at Catherine’s request. It bears the transition quite well! Dr. Lee wrote “A Tiny Dance” for two dancers who designed their dance patterns around performing in a restricted space with a number of natural and man-made obstacles. It was performed as part of the dance piece “Wet?” at Ten Tiny Dances Waterfront Project in Portland, Oregon. The beautiful artistry of Catherine Lee ultimately breathes vital life into the music. It is music to beguile and uplift the spirits. It is modern yet lyrical. It is a stunning feather in Ms. Lee’s very musical hat. Recommended strongly for double-reed enthusiasts and modernists of all stripes. social sounds. Catherine Lee, oboe, oboe d’amore, and English horn. Catherine Lee has a unique perspective and an original voice in the community of North American oboists, and social sounds is a different kind of recording. I can listen to it and be completely and inexplicably at peace. Five pieces for the three sizes of oboe, unaccompanied except for one that uses pre-recorded sounds from nature, move comfortably from one to the next with plenty of space to breath. Here are the composers: Dorothy Chang, with degrees from University of Michigan and Indiana University, teaches at the University of British Columbia. Her still (2006) sets the CD’s contemplative mood with quiet explorations of false fingerings and pitch bends, holding on to enough motivic consistency to give a sense of organic growth. Lee’s fluid, graceful timbre has just the right amount of energy, moving the four-minute piece along to its concluding multiphonic. Jérôme Blais, a McGill and University of Montreal-trained Canadian composer, now teaches at Dalhousie University in Halifax. Catherine Lee chose his Rafales (2007) to follow still, and it raises the complexity and range of expression by using spatial relationships through choreography for the oboist, captured by her variable distance from the microphone as well as a depressed piano sustain pedal, which is the piano’s only contribution. The work’s context is the changing wind of Halifax, but the performer must interpret this through her own improvisations, derived from Blais’ “framework of pitches and gestures.” This Catherine Lee does most beautifully, varying timbre and resonance with great thoughtfulness, and staging the progress from section to section effectively in time. Her palette widens in dynamics, register, and range of tone quality, but again with a fluid, natural trajectory. Canadian Tawnie Olson holds degrees from Calgary, Yale, and the University of Toronto, and teaches composition adjunctly at the Hartt School. Plainsong (2004) for solo English horn showcases Lee’s gorgeous, floating breath support, even more strikingly than do the previous oboe works. The tonal focus of her English horn is especially beautiful from note to note. The little piece is over all too soon, and the larger composition that follows calls for oboe d’amore. Lee’s careful programming order contributes to the meditative atmosphere of the CD; the ears are not ready to move right back to the oboe after the English horn work , and the d’amore provides a gentle transition. Social sounds from whales at night (2007) by Emily Doolittle also features a recorded mix of humpback whale song, along with sounds of grey seal, sperm whale, and musician wren (Youtube it—this is an amazing bird!). The oboist plays bamboo chimes and ocean drum along with the oboe d’amore, whose part is transcribed from a vocal original. Again, the player uses the composer’s melodic sketch while making improvisational decisions concerning how far to warp the traditional pitches with extended techniques. There is considerable true interplay, in real time, between the player and the recording, and a cadenza-like section near the end when Lee has made most of the musical choices herself. The nearly nine-minute work hypnotically increases in agitation, and then suddenly dissipates with a fragment of an old sea shanty. Composer and zoomusicologist Doolittle is a research fellow at the Royal Conservatory of Scotland in Glasgow. Originally from Halifax, she studied at Dalhousie University, the Koninklijk Conservatorium in the Hague, Indiana University, and Princeton University. The final track was composed by the oboist herself as a dance accompaniment for a choreography entitled Wet? by POV dance as performed at the Portland, Oregon, Ten Tiny Dances South Waterfront Dance Project in 2008. Called a tiny dance, the five-minute work is as meditative and beautiful as everything else on the album. Catherine Lee describes the liberating limitations of the material she chose: “the note b1, which has the most timbral fingerings on the oboe; the interval of the tritone, to create a feeling of reaching; and finally, the whole-tone scale . . .” The rhythmic movement is relaxed and adjusted to the choreography. Catherine Lee earned her DM in Oboe Performance and BM from McGill University, and her MM and Performer Diploma from Indiana University; she cites among her oboe teachers Theodore Baskin, Normand Forget, and Bruce Haynes. She is also a licensed Andover Educator (Body Mapping). 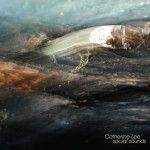 social sounds is an album I have listened to more often than any other for the past eight months or so. Lasting only a little over thirty minutes, it puts me in a uniquely healthy frame of mind. I’ll leave it to bigger brains to explain exactly why, but between the immaculate, masterful oboe playing and the fresh, un-encumbered musical ideas, the aesthetic of Catherine Lee’s work speaks to what I need. Her music creates space for healing. Earlier this year, oboist Catherine Lee released her debut solo album, fearlessly probing unusual sonic textures of new works. Entitled “social sounds,” the recording contains pieces for solo oboe by Dorothy Chang, Jerome Blais, Tawnie Olson, Emily Doolittle, and Lee that venture off-road into unusual tonal landscapes. The exploratory nature of the music on the CD plays well in Lee’s hands, because she has a lot of experience with the improvisation, having performed in ensembles led by noted improvisers, such as John Gruntfest, Gino Robair, and Tatsuya Nakatani. Lee has an extensive background as a freelance oboist and teaches at Willamette University, Western Oregon University and George Fox University. The album’s title, “social sounds,” refers to Emily Doolittle’s “Social sounds from the whales at night” (2007). It features Lee playing the oboe d’amore to tape recordings of humpback, grey seal, and sperm whales. The whale sounds start out in the background as Lee casts a plaintive obbligato into the foreground. It is not long before her phrases and those of the whales seem to play with each other – a sort of communion in the midst of the ocean. Lee’s performance of “Still” by Dorothy Chang (2006) creates a contemplative yet abstract mood in which tonality shifts back and forth as if from exterior to interior. Notes seem to sag and then leap forward in a spontaneous way that finally ends with a strange, mircrotonal buzz. Lee gives Jerome Blais’s “Rafales” (2007) a wonderfully unhurried pace that allows notes to linger. Some of the notes have a long hang time and blur harmonically into the oncoming melodic line. A perky series of notes briefly gains enough momentum to contrast well with the predominantly forlorn sounds, including the eerily hollow tone at the end of the piece. In Tawnie Olson’s “Plainsong” (2004), Lee offers a contemplative atmosphere that reflects the chants of medieval monks – although the piece has no direct quotes. Lee’s use of the English horn evokes a vocal quality that fits the music extremely well. For the “Ten Tiny Dances South Waterfront Project” in 2008, Lee wrote “a tiny dance,” and, in this recording, she strikes a delicate balance between small movements and larger ones. Overall, the piece has an introspective nature that must have worked well for the dancers, who (according to the liner notes) “were restricted to moving within a space of four square feet that also contained a cement ledge, a banister, and a section of a small waterfall. So if you are feeling adventurous, try “social sounds,” which is available through CD Baby,Teal Creek Music, and the Canadian Music Centre. The difficulty and excitement of a solo instrumental performance arises from the fact that the entire sound envelope is, from beginning to end, from top to bottom, exposed. A note’s attack, its approach towards silence, the sound of keys, the performer’s breath – all these come under the listener’s scrutiny, amplified by the surrounding stillness. On social sounds, Portland oboist Catherine Lee, instead of merely navigating these choppy waters, makes them her destination. Almost all of the pieces feature an improvisatory aspect, tools which Lee uses to prod the boundaries of her instrument’s sound. The first such piece presented here is Jérôme Blais’ Rafales. Scored for solo oboe and piano with depressed sustain pedal, the work is this disc’s standout. Inspired by the composer’s encounters with Nova Scotian wind, Blais supplies the performer only with loosely defined long-tone gestures, leaving their lengths at the performer’s discretion. These, combined with the timbral shifts caused by the choreographed movement of the oboe in relationship to the microphone, result in a gripping tension: Lee’s tone, at first pushed and pulled along its edges, finally disintegrates into the murk of sympathetic vibrations with the piano. A similar effect is achieved in Emily Doolittle’s Social sounds from whales at night, only here it’s improvised timbral fingerings and pitch bends which cause the tension, and pre-recorded whale sounds rising to the ocean’s surface which give release. The sum of these is a CD as compelling as it is eminently listenable. This suite of free improvisations for oboe d’amore and percussion, recorded at Hudson Concert Hall in Salem, unites two of Oregon’s most experienced improvising musicians. Lee has performed both improvised and composed music at festivals and concerts around the world and with the Oregon Symphony and Portland Opera orchestras. Hannafin studied with legendary Indian vocalist and teacher Pran Nath, minimalist pioneer La Monte Young, Iranian percussion master Kavous Shirzadian and more, and collaborated with musicians from the worlds of electronic, jazz and other improvised music. Hannafin’s world music background may explain why much of this quintessentially now music, made up entirely in the moment, is so redolent of traditional music from non Western cultures like Japan and Korea, India and the Middle East. That breadth of influence suits Lee’s ability to make her archaic but alluring instrument — a staple of J.S. Bach and other Baroque composers — sound like so many other double reed and other sound sources from various traditions, from shofar to Balkan and Persian instruments. Add Hannafin’s varied percussion palette and the pair’s inventive musical imagination, and Five Shapes delivers a surprisingly multifarious experience. It’s less about whirlwind virtuosity than atmosphere, concocted from long tones, judicious use of musical space and silence, and intriguing musical choices that rarely sound studied; the music seldom stalls despite the fact that all the takes are unedited documents of what sprang from their imaginations on that late summer afternoon.